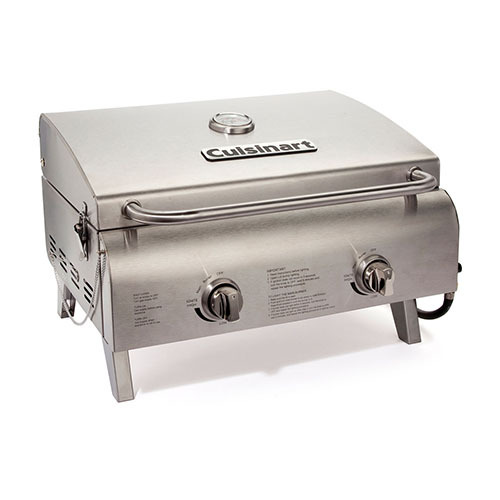 The Cuisinart CGG-306 is a chef's style tabletop grill. 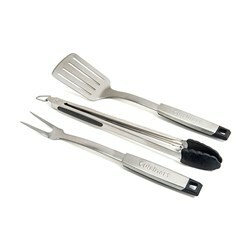 It has a powerful combination of raw grilling performance and great design. This grill goes from box to burgers in less than 10 minutes with no tools required. Two stainless steel burners combine for a total of 20,000 BTU's of meat-searing heat sparked by a simple TwistStart ignition system. This grill is constructed entirely of stainless steel for the high-quality look and performance. The stainless steel grill-grate is professional quality and allows for superior heat transfer, cooking and cleaning. 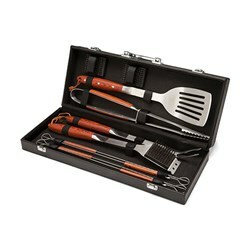 Simply lock the lid down, fold the legs, grab the handle and go anywhere to grill. 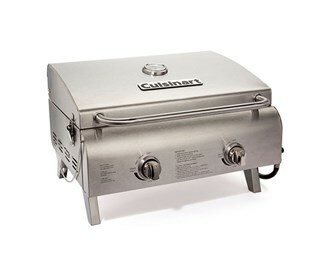 The Cuisinart Chef's Style Tabletop Gas Grill has many exciting features for users of all types. 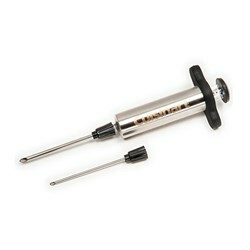 You can extend the lifetime of your Cuisinart Chef's Style Tabletop Gas Grill with the purchase of a FactoryOutletStore Factory Protection Plan. 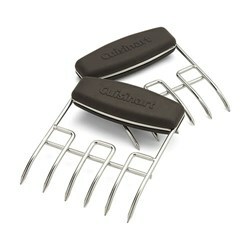 See the Cuisinart Chef's Style Tabletop Gas Grill product video and gallery images above for more details. 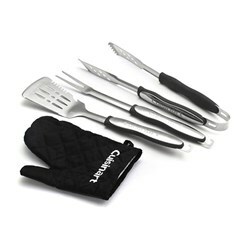 FactoryOutletStore stocks a full line of accessories like Cuisinart 10-Piece Premium Grilling Set, Cuisinart 3-Piece Grilling Tool Set with Grill Glove, and Cuisinart 3-Piece Professional Grill Tool Set for the Cuisinart Chef's Style Tabletop Gas Grill. 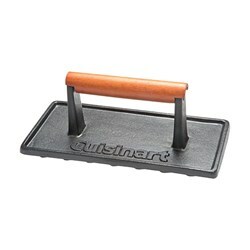 The Cuisinart Chef's Style Tabletop Gas Grill is sold as a Brand New Unopened Item. Easy to set up and easy to clean. Alittle heavy for some people. The portable grill with the big grill features.